US Prog-Metal Group THOUGHT CHAMBER Launch New Track Online – ‘Psykerion’ Album Out Now Worldwide! Los Angeles, CA – U.S. Progressive Metallers THOUGHT CHAMBER are finally back with a new release, following up on their acclaimed debut album “Angular Perceptions” from 2007. Their sophomore album “Psykerion” is OUT NOW worldwide (with the North American street date being today) via InsideOutMusic. Next to guitarist and composer Michael Harris as well as vocalist Ted Leonard (also in Enchant, Spock’s Beard and Affector), THOUGHT CHAMBER’s ranks of skilled players now also feature Bill Jenkins (also in Enchant) on keyboards, Jeff Plant on bass and Mike Haid on drums. ‘Psykerion’ contains 16 tracks / 64 minutes of superb true progressive metal with a technical sci-fi twist, likely to appeal to fans of Dream Theater, Yes, Rush or Planet X. The album’s cover artwork, which can be seen above, was designed by John E. Holland / MistyMountainGraphics.com. The album was recorded in various locations between 2012 and 2013 and finally mixed and mastered by Tom Size (Y&T, Aerosmith, Mr. Big, Enchant) at Tomland Studios, Pacheco, CA. 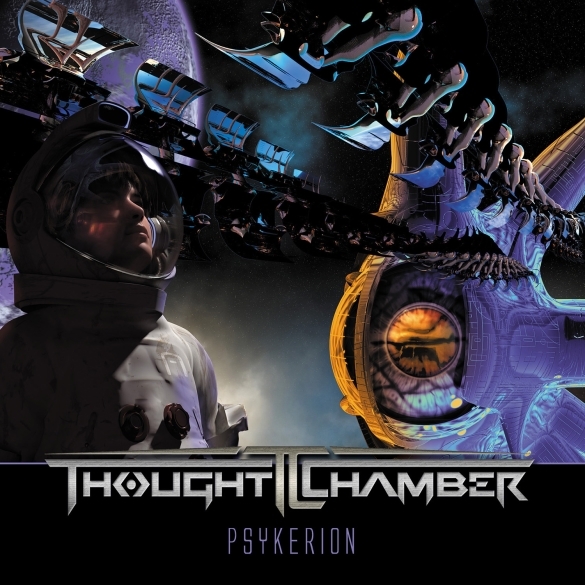 THOUGHT CHAMBER’s Sophomore Album “Psykerion” via InsideOutMusic – Reveal Cover Artwork! Los Angeles, CA – Progressive Metallers THOUGHT CHAMBER are finally back with a new release, following up on their acclaimed debut album “Angular Perceptions” from 2007. The U.S. based group named their second album release “Psykerion” and it will be released on September 16th, 2013 in Europe and on October 1st, 2013 in North America via InsideOutMusic. “Psykerion” contains 16 tracks / 64 minutes of superb true progressive metal with a technical sci-fi twist, likely to appeal to fans of Dream Theater, Yes, Rush or Planet X. The album’s cover artwork, which can be seen above, was designed by John E. Holland / MistyMountainGraphics.com. The album was recorded in various locations between 2012 and 2013 and finally mixed and mastered by Tom Size (Y&T, Aerosmith, Mr. Big, Enchant) at Tomland Studios, Pacheco, CA.